Nikonos V, 15mm UW-Nikkor, f8, 1/90s, TTL Fill Flash via Sea & Sea YS-120. Fuji Velvia 100. This shot ‘Sunburst turtle’ has always proven popular with my friends as a wallpaper or screen saver. It was taken on a trip to Sipadan Island, a tiny coral outcrop in the Celebes Sea, south east of Borneo. but for some reason I left the flash on for this one, and lit the turtle from below. The effect, I think, is much better than the silhouette shots – more balanced, but still with a sense of hugeness of the open ocean and the vastness of the sky. I love the clouds in the background, too. Because this was taken in days when I used film, of course I didn’t realise what I had until a day or so later, when I got the slides back. I sometimes miss that anticipation of waiting for the results. These days, with the immediacy of digital capture and instant feedback/review, you lose some of that anticipation and elation when you get the film back. We actually stayed on the island, back in 2007, but a year later the Malaysian government closed the island to visitors and made it a wildlife sanctuary. 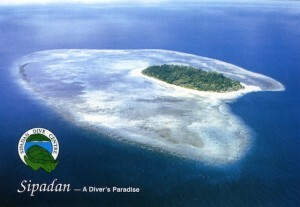 If you want to dive it now, you have to stay on one of the nearby islands, Mabul or Kapalai, and boat across to dive. It is seen by many as one of the best dive sites in the world. If you like turtles, it certainly is one of the best places in the world to see them. This is probably because the scientific research/conservation programmes conducted on the island have probably altered the ecosystem in favour of the turtles. 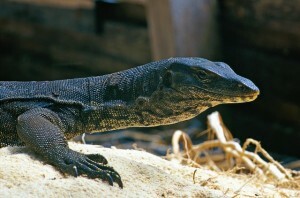 All the eggs laid by turtles are dug up and then incubated, safe from the predations of the (huge) monitor lizards and other predators that infest the island, that would normally eat many of them. When ready to hatch, they are then released into the sea as baby turtles. But because they have been ‘saved’ by human intervention, there are many, many more turtles released into the sea than nature would have intended, so many more actually survive the hazardous first months in the sea. 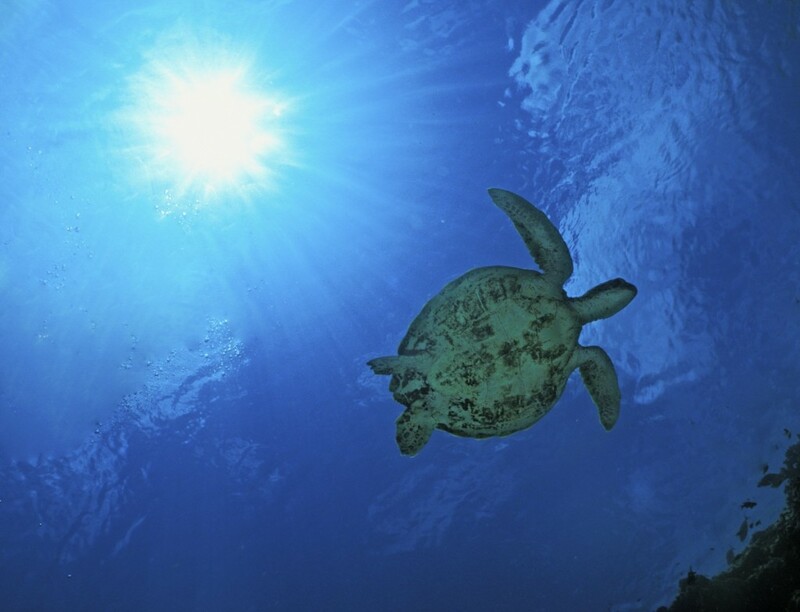 Hence, the waters surrounding Sipadan are ‘Turtle City’, and it really is a great place to take turtle photos. If fact, is is difficult NOT to get turtles in the shot, sometimes. There are many other species, of course. I came back with photos of reef sharks, schooling barracudas, bat fish, coral formations, parrot fish, etc… But the huge number of turtles does have an effect on the coral. I personally witnessed several large turtles chomping away on the coral and leaving it destroyed in their wake – normal, since this is what turtles naturally do, but because of the huge numbers, the coral does look a little the worse for wear. Perhaps we should leave Mother Nature to look after the turtle population herself, and not interfere quite so much? Controversial, I know, but I saw the coral desert that surrounded a lot of the island, and a lot of that damage was due to too many turtles. Ironically, divers were getting the blame for this damage. I am sure that some divers did do some damage, but nowhere near the damage I saw the natural local inhabitants do – not just turtles, but huge schools of bumphead parrot fish also descended on a tasty coral out crop like a swarm of giant locusts every day and left little in their wake. Maybe it is a good idea to stop divers staying on the island. But it is not the divers that are wrecking the coral. Loved the photos and interesting info. While I support conservation (in some ways), I find it ridiculous what things are done in the name of it that are not thought out or investigated properly. Anyways, looks like a paradise to visit. For now, I will live vicariously, seeing the world through your pictures- and always enjoy the photo tips. Rather predictably I love the turtle shot – absolutely gorgeous!